Henry Derek Elis' origins are about as strange as his career in the music business. Raised by his grandmother, Henry grew up next to Central State Hospital, once known as the largest psychiatric facility in the world. Throughout his childhood, Henry observed the ravages of illness, addiction and suicide first hand. Henry came to prominence upon moving to Atlanta, playing in mostly rock and metal bands before joining The Sweet Meat Love & Holy Cult, a folk collective with legendary artist Jarboe (formerly of the influential band Swans) This inspired him to create acoustic-based folk music under the moniker: To The Boy Elis, a reference from the work of Austrian born poet, Georg Trakl. He eventually moved to Los Angeles and recorded demos with various bands, including members of Gorgoroth, Type O Negative and Anthrax. In 2013 he joined the band Scar The Martyr with drummer Joey Jordison of Slipknot fame. After releasing one album on Roadrunner Records, Henry went on to help form the thrash metal band Act Of Defiance, featuring former members of Megadeth and Shadows Fall. We have an excellent bill for next week’s show with an array of incredible artists. Please join us at Resident DTLA on Thursday, March 28th. I will be joining Sophia Knapp, Black Mare & Northern Lights. $10 // Doors at 9:00 // Please RSVP & show your support. Hope to see you there! I’ll be playing a special show in Nashville, TN at The Springwater w/ the incredibly talented Pauline Andres. She just so happens to sing on my upcoming single. Not gonna let the cat out of the bag just yet, but it’s a cover! Stay tuned for more details. Happy New Year! Many thanks to Myke C-Town for including “The Devil Is My Friend” on his “Top 25 Albums Of 2018” list. You can check out the video HERE. Also, be sure to subscribe to his Youtube channel for more excellent content. Thanks to The MetalSucks Podcast for giving my solo album “The Devil Is My Friend” the Number 9 slot on their “Best Albums Of 2018” list! It was cool to chat w/ them as well. Check out the interview HERE! Henry will be playing a free show at Harvard & Stone for his Album Release Show / Black Christmas Party on Thursday, December 13th with special guests, The Great Sadness & Lasers Lasers Birmingham. “The Devil Is My Friend” is out now, available on CD & Vinyl LP. The new video for “Sing For The Dead Man” is up, thanks to Cvlt Nation! Check it out HERE. Also, Vinyl Pre-Order is now available & new Merch items have been added to the web store. 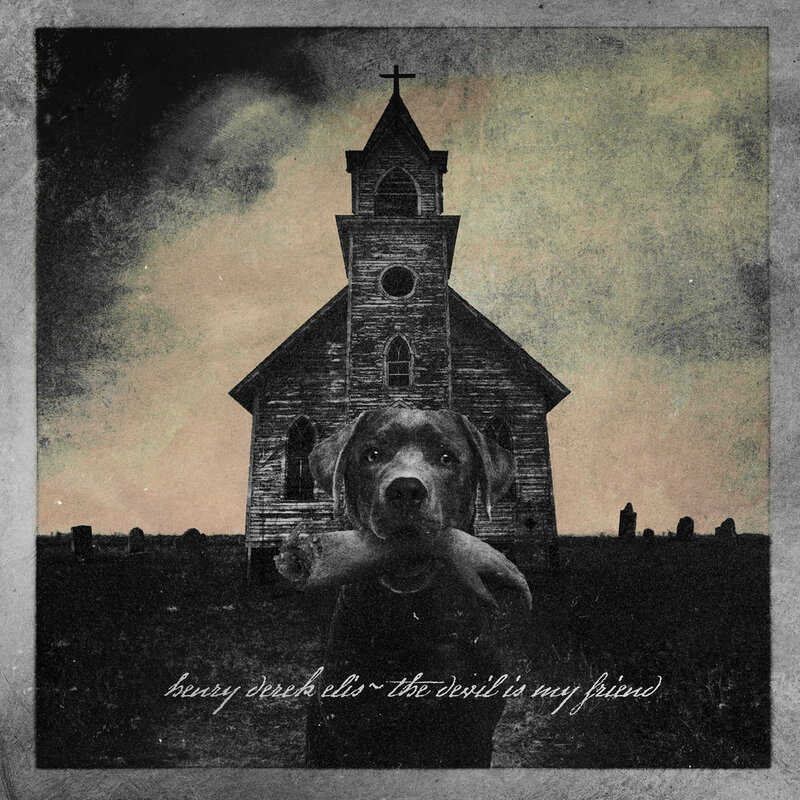 Henry Derek Elis will release his new album, The Devil Is My Friend, on October 26th. Check out the Official Album Trailer HERE and pre-order the album here. As promised, I’m dropping a 6 song EP a month before the release of my full length album! “Don’t Look” features the soul-power of Brian Whelan (Dwight Yoakam) the wonderfully talented Aubrey Richmond & the honky-tonk stylings of Mr. John Shreffler Jr.(Shooter Jennings) Many thanks for the help. Official Release Date: Sep. 20th or head on over to www.henryderekelis.bandcamp.com to buy your digital copy now! I have an exciting announcement regarding the solo album! I’ve decided to release an EP leading up to the release of the Full Length. The 6 songs from this EP will be available for streaming & purchase within the next few weeks. More details to come soon. The debut album is finished and is currently being mastered by James Murphy (Death, Obituary, Testament) at Safehouse Studios. Guests Include: Sera Timms (Black Mare, Ides Of Gemini) Aubrey Richmond & John Schreffler Jr. (Shooter Jennings) Jarboe (Swans) Brian Whelan (Dwight Yoakam) Neal Tiemann (DevilDriver) Tara Vanflower (Lycia) and many more. Produced By: Steve White & HDE. Cover Art & Layout by: Travis Smith (Opeth, Katatonia, Anathema) More news to come soon. Henry started creating acoustic based folk music under the moniker : To The Boy Elis, a reference from the Austrian born poet Georg Trakl. His love for roots & folk music eventually inspired him to take on a more sophisticated approach to the craft. “What’s Left Of Us” features the wonderfully talented Aubrey Richmond & John Schreffler, Jr. (Shooter Jennings) Handpicked by Rolling Stone magazine as “One of the best Americana songs of the week”. Recorded in Los Angeles. Produced by: Steve White & HDE at Red Light Studios. Mastered by: James Murphy at Safehouse Studios. From the album, “The Devil Is My Friend”. Available Now!